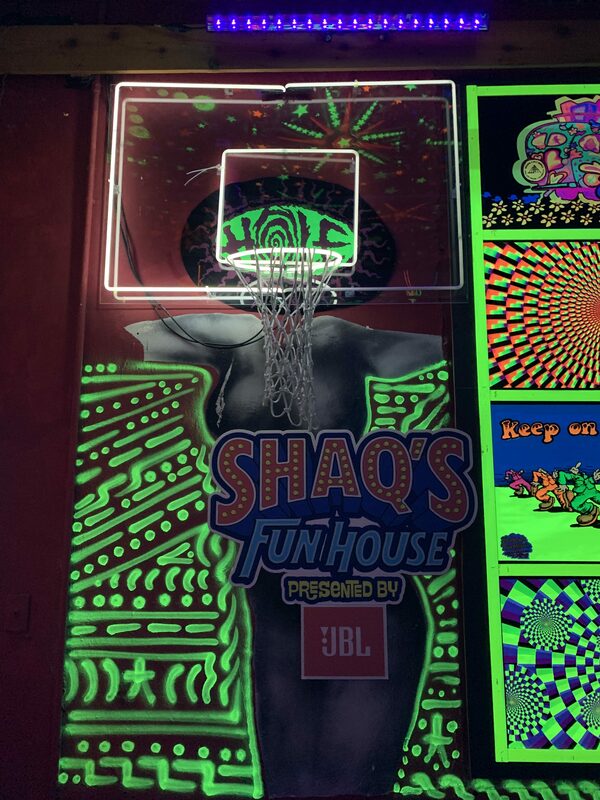 One of the biggest parties of Miami Music Week this year was undoubtedly Shaq’s Fun House, which just hit the Wynwood Arts district. It should come as no surprise that when NBA Hall of Famer, Shaquille O’Neal throws a party, it’s bigger (and probably way better) than your average. The after hours event, which was presented by JBL, took place late night Friday, March 29th into the morning of Saturday, March 30. One of the best lineup’s of this year’s Music Week, the unannounced talent included acts like Armin van Buuren, Diplo, Kaskade, Oliver Heldens, Sunnery James & Ryan Marciano, Laidback Luke, Carnage, Slushii, NGHTMRE, Nitti Gritti, Lil Jon, Matt Medved, and Diesel (Shaq himself). Not your average party, Shaq’s Fun House was a larger than life experience, where everything was done big. From the live entertainment, hypnotizing performers, carnival games with prizes, and treats & eats. The fun included (complimentary for all guests): A premium 5-hour open bar, concession stands with cotton candy & popcorn, Krispy Kreme, Cayo Taco, a dedicated circus sideshow stage, and much more. A Shaq Fun House highlight came as Armin van Buuren rocked the stage — and for some of his set, even joined by Heldeep’s own, Oliver Heldens. Shaq could be seen right there on stage next to the Armada co-founder during his set, rocking along to tracks like Vini Vici “Great Spirit,” and Armin’s new collab with Above & Beyond, “Show Me Love.” The NBA Hall of Fame superstar passed around light up foam glow sticks, throwing boxes into the crowd. Van Buuren has also recently released the Zack Martino remix of “Lonely For You” feat. Bonnie McKee and “Don’t Give Up On Me” with Lucas & Steve feat. Josh Cumbee. Hakkasan Group activated their renowned Las Vegas nightlife experience with an all exclusive VIP deck, hosted by the incomparable Omnia Nightclub, Hakkasan Nightclub, and Wet Republic. The Hakkasan deck offered VIP bottle service and some of the very best views of the Fun House main stage.